Travelling by plane is the most comfortable and fastest way to reach Dubrovnik. Dubrovnik airport is located approximately 20 km to the southeast of Dubrovnik. This is an international airport with air connections to numerous European and worldwide destinations. The airport has all the facilities needed for the easy reception and comfortable stay of its passengers: ATMs, banks, exchange offices, cafés, internet corner, newspaper shops, souvenir shops, duty free shop (international departures), rent-a-car offices, a parking lot with 200 parking spaces across the passenger terminal (an automatic pay station is next to the exit barrier and the payment is accepted in cash or by credit cards). There is an airport shuttle bus service running from the airport to the city centre. The buses run upon the arrival of every scheduled incoming flight (for more info check flight schedules or call the airport information desk at +385 20 773 100). The travel time to Dubrovnik is approximately 30 minutes. The shuttle bus runs to the Pile Gate, main entrance to the Old Town. There is a taxi rank next to the Pile Gate where taxis are available 24 hours a day. Pile Gate is the starting point for most city buses and from there you can easily travel to your accommodation. The shuttle bus runs further on to the main bus station located in the Gruz area. From there you can catch a city bus to other areas of Dubrovnik. To get to the airport you need to catch shuttle bus from main bus station 90 minutes before each regular flight. Please be sure not to miss the shuttle - if you do the only alternative solution is to take a taxi! If you are staying in the Old Town or Ploce area you can catch the airport shuttle bus at the bus stop near the cable car lower station. Would you like to enjoy the privacy and comfort? Then taking a taxi is the solution for you. There is a taxi rank just outside the airport building. 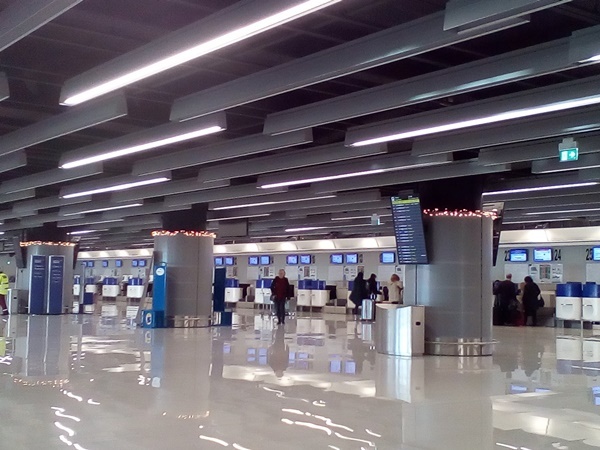 Taxis are available during the airport's opening hours (6 a.m.- 10 p.m). If you arrive late, you can call for a radio taxi on + 385 800 0970. Taxi price range is: 250 kn (approximately €33/£28/$45) - 300 kn (approximately €40.00/£33.00/$54.00) - depending on the location of your accommodation. Sometimes, especially during the peak season (July and August) there is a shortage of available taxis at the airport. In this case you may find it more convenient to book your transfer in advance. Planning to hire a car and explore Dubrovnik and its surroundings on your own? 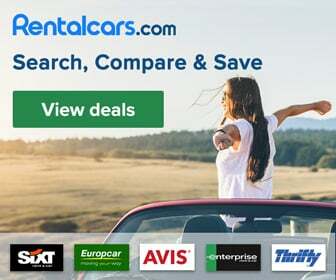 In this case you should rent-a-car at one of the car rental agencies at the Dubrovnik airport (Avis, Best Buy Rent, Budget, Dollar, Thrifty, Hertz, Sixt, Uni Rent, Auto Rent, Last Minute, AMC, Bingo Rent, Uniline, Peugeot) or online. There are no hotels at Dubrovnik airport. However, 3 km away in the nearby Cavtat, plenty of hotels and private accommodation can be found. The most practical way to get to Dubrovnik is a non-stop flight. During the summer season (from April to October) Dubrovnik is connected to all major cities in Europe (London, Paris, Rome, Frankfurt, Barcelona, Lisbon, Dublin, Vienna, Venice, Athens, Copenhagen and many more). All the major European airlines have flights to Dubrovnik, including British Airways, Lufthansa, Austrian Airlines, Air France, Aer Lingus, Thomas Cook Airlines, SAS, Aegean Airlines etc. Lately many low-cost companies have begun operating flights to Dubrovnik (Easyjet, Wizz Air, Jet2.com, Volotea, Germanwings, Norwegian Air Shuttle, Air Berlin and others) during the summer months. Dubrovnik can also be reached via Zagreb. There are plenty of flights from all European capitals (London, Paris, Frankfurt, Prague, Vienna, Venice, Lisbon, Berlin and others) to Zagreb operated by Croatia Airlines (Croatian national airline company) and other companies (Air France, Easyjet, Lufthansa, Czech Airlines, Austrian Airlines, Germanwings, Aeroflot etc). Croatia Airlines connects Dubrovnik and Zagreb regularly all year round. There are several flights a day and journey time is approximately 50 minutes. There are not many flights from outside Europe to Dubrovnik or Zagreb. Croatia Airlines flies from Tel Aviv to Dubrovnik and El Al Israel Airlines has a flight from Tel Aviv to Zagreb. In 2019 American Airlines introduces flights between Philadelphia and Dubrovnik. The only direct flight between Dubrovnik and the USA will operate from June until October. Qatar Airways is the first airline from the Middle East to operate all year round scheduled flights to Croatia. The capital city of Croatia, Zagreb, has been connected to Doha since May 2012. If you are travelling from other continents, then London, Frankfurt and Rome are good connection points for getting to Dubrovnik.